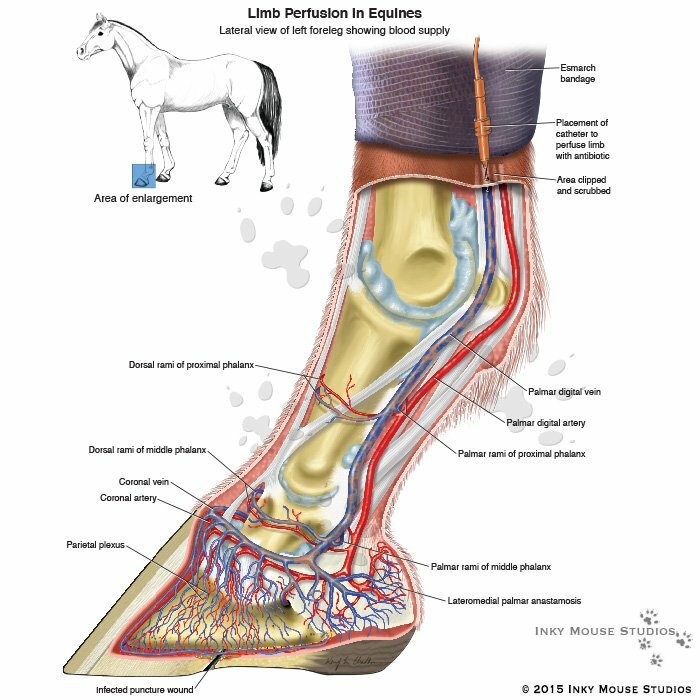 You are viewing Step 2 – This illustration shows how the limb is prepped for the perfusion procedure. The puncture wound is cleared of debris, the site where the catheter is to be placed is clipped and an esmarch tournequet is placed on the limb. The catheter is placed into one of the major veins, in this case, the palmar digital vein. View Step 3 – which illustrates how the therapeutic dose permeates from the blood vessels into the surrounding tissues.